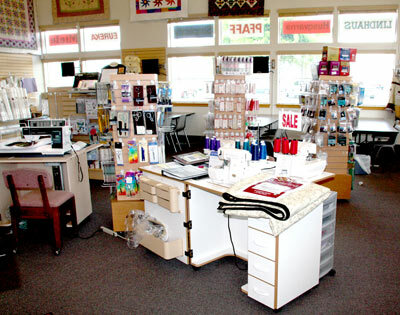 Serving Central Oregonâ€™s Sewing Community for over 42 years! Serving Central Oregon for over 42 Years! Morrow’s Sewing Center was established in 1967 by Mary and Nevin Morrow. They proudly served the Central Oregon sewing community for twenty-five years in the downtown location on Minnesota Street, before retiring and selling their business to Ed and Karen Jarrett. Ed and Karen took over in 1992, building upon the strong foundation laid by the Morrow’s to create a full service, multiple brand sewing machine business. After acquiring Bend Vac and Sew in 1995, the Jarretts spent four years operating two separate businesses. In 1998, they merged the two businesses, renaming the new establishment Morrow’s Sewing and Vacuum Center, and moved into the 3rd street location across from Safeway. After spending seven years at that location, the Jarretts decided to build a new store so they could better serve and accommodate their customers. The 304 NE 3rd Street location has been home to Morrow’s Sewing and Vacuum Center since 2005, boasting an open and inviting show room for the eight major sewing and vacuum brands Morrow’s carries, as well as a large classroom equipped with flat wall mounted display screens for interactive computer software education.